Anglican Corpers Fellowship Cross River State started in the year 2005 under the leadership of now Most Rev. 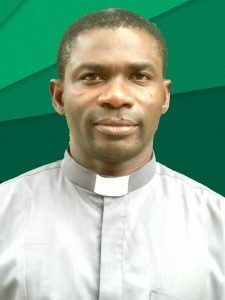 Tunde Adeleye, the Archbishop of Niger Delta Province and Bishop of Calabar Diocese. The Fellowship started at the Cathedral Church of Holy Trinity, No. 81 Calabar road, Calabar Cross River State and the lodge was first situated in the church premises. Later on was moved to No. 6 Enyia Nfo street off School Road 1 Satellite Town Calabar after the unconditional love and kindness of the Archbishop built the lodge due to increase in population of Corp members and the advancement of Christ Kingdom among youth in Calabar. The Fellowship has been headed by the now Ven. Stanley Ukachukwu as the Chaplain with the help of eleven(11) executive committee members selected from each batch to run the activities of the Fellowship which has made tremendous and long lasting impact in life of Corp members that lived in the family house. The Family house is always filled with comfort, inspiring, happiness, warmth love, peace and in all ramifications is the best place to be irrespective of our ethnic background. 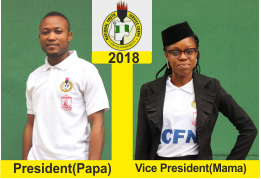 This activity in the Fellowship has offered accountability, created connections, fostered community, provided encouragement and has been a place and time to find unconditional love among Corp members. It holds every Saturday from 8:30pm till all questions are being given satisfactory answers with reference to Bible passages. It takes place in the Family house every morning (5:30am to 6:00am) and evening (9:00pm to 9:30pm) by different Corp members. It always starts with few minutes of praise and worship, then message from Anglican daily devotion manual. It has contributed immensely to the Fellowship; to grow spiritually, get to know God, gain deeper understanding of the Bible, and begin to apply the bible’s teaching, find peace and serve as a preparatory for evangelism outside the Family house. This programme was initiated into the Diocese by 2015 Corp members and later became an activity in the Cathedral. Due to the impact and transformation, the programme was adopted by the Archbishop and presently holds every last Friday of the month with different theme from the Bible. During these times, God’s power is revealed, God’s plan is implemented and God’s promise is fulfilled against the Kingdom of Satan and his agents. By God’s grace ACFN Cross River State is moving forward and the gates of hell shall never prevail. This Fellowship is indeed the best place to be where you serve the Lord while serving your Father land. We cannot thank the Archbishop and Mama Archdiocese enough who has made the service year in a far away land blissful to all Corp members and also want to thank the Priests and members of this great Diocese. WE LOVE YOU ALL, WE PRAY THAT THE ALMIGHTY GOD WILL BLESS AND KEEP YOU TO FULFILL YOUR PURPOSE IN LIFE IN JESUS NAME, AMEN!!!! !